My Life | Dare to live. Me. Yes, me. My name is Ani, I’m 23-years old and I live in a city near Frankfurt in Germany. 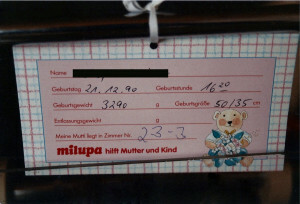 I was born 3 days before Christmas 1990. My poor mother had to stay in the hospital over the holidays but I think I was the best present anyway. My parents got a divorce when I was 3 years old and back from that moment on I was mainly raised by my mother. Since I can remember we’ve always been more friends than mother and daughter. I had the possibility to develop in my own way though my mom was always by my side helping me when I struggled. My mom always took me with her when she had a game or tournaments so it wasn’t that big of a surprise when I started playing handball myself when I was 9-years old. I developed a real passion for this sport and it was my sport for more than 10 years. Practicing 4-5 times a week to be successful in this sport really makes you being disciplined about your routines. Every weekend we were on the road and the older I got the longer the distances. It was my sport, I loved it. Still do. But before I started handball I was like every other girl and tried ballet and gymnastics. 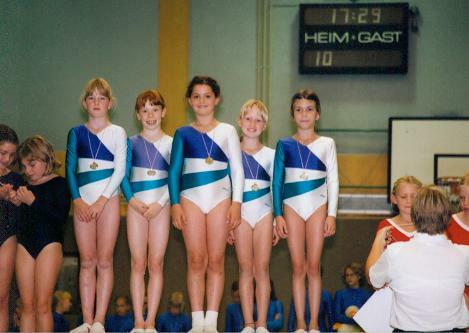 I was a gymnast for about 6 years when I decided I was more of a teamplayer. But I still profit from my years stretching and having to keep my body strong. 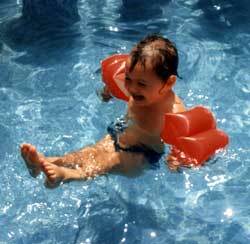 I tried many different sports such as volleyball, soccer, swimming, basketball or badminton. I played volleyball in the school team and decided to join a club but I was too short to really be successful. And when handball turned out to be the sport I’d be successful in I quit volleyball and totally focused on handball. Being in a team for so long makes you strong and reliable. My team had to be able to count on me and my performance since I was the back up, the goal keeper. It makes you also learn to handle pressure because the more successful you get the more everyone wants you to be perfect. I could handle it well but at my first game back in my last season I hurt my knee badly and had to go into surgery three times. My time with this sport was over. Since then I am going to the gym 3-4 times a week to keep me fit and I try to maintain a healthy food routine with healthy food and some treats to satisfy my body once in a while. It wasn’t easy shifting my eating habits because as a competitive sportsman you have to eat more to make it through practice but from one day to another I wasn’t that person anymore so I had to change my habits. It’s very hard to change habits – though it’s totally possible and I’m on my way to beat the old habits. Regarding I had a lot of freedom to develop however I wanted it was not always easy for me to know exactly what I want. But what I knew was what I didn’t want. I wanted to treat people like I would have wanted to be treated and this is my motto until today: “Treat someone like you wanna be treated”. If you want to be trusted then you have to be open-minded and don’t judge people at the first sight. If you want to be able to tell your friends what you like and what not you have to be a good listener for them too. I soon noticed that I could empathize with them and know how they felt – it helped me with my kids too. Sometimes they were grumpy but didn’t want to tell me why and it never took me long to figure out what was wrong. Throughout the years I developed some strengths. I’m very tolerant and reliable. My friends and family can always count on me. But I think my patience is my biggest strength. It’s not that I’m a shy person who never says anything, it’s more that I can stay calm during an argument or in difficult situations. Worrying will get you nowhere and my mom always taught me to raise my argument and not my voice. For kids this is very important. They need a leading hand and not an adult yelling at them. You can project so much more authority if you stay calm and soon they’ll notice their actions won’t get them anywhere. I’m a very creative person too. I was with a friend in Münster (Germany) when she showed me what she could do with a simple photo. I wanted that too. So I developed my skills and it lead me down the path to my current job as a vocational trainee in marketing and communication. I love being able to design my own invitations or my own homepage. But I soon noticed that my job is more about leading others to be creative and not about being creative myself. I enjoy coming up with new ideas of games or things I can tinker with my kids but my job has nothing to do with this. I live in a two-room apartment in the basement of my parents house. I love it there. In summer it’s always cool down there and have a door that connects me directly to the garden. We have a lovely garden with a terrace that leads down to a little spot of gras with a house for the garden tools. Our garden is surrounded by plants, like lavender, peppermint and roses. I love all the different colors. I share my apartment with my two cats, Peepers and Sookie, both about 5 years old. They are the sweetest cats ever. They never bite or scratch me and Peepers always cuddles up in my arm when I go to bed. Sookie on the other hand is an interesting kind of cat. She acts like a dog sometimes, for example she fetches things when I throw them and takes them back to me. I love them both very much. I have my drivers license since I was 17-years old and from that summer on I had my own car. I had to drive long distances to my practice and games and it gave me a lot experience in every season of the year. I’ve had two cars already and currently I’m driving an Opel Corsa. I enjoy driving and even my mother prefers when I drive because I have more recent experience than she has.